Hibernian are in Denmark to take on Brondby in the 2nd Qualifying Round of the UEFA Europa League. Our betting tips suggest they will exit the competition here. Hibernian were always likely to find life as a Scottish Championship side in Europe tough and they face an uphill task to stay in the Europa League now. They put up a spirited display but were beaten 1-0 at home by Brondby last week and the Danes are now the clear favourites to progress. The Scots now must decide whether to try and take the game to Brondby as they need to win this match to stay in the competition or try and keep things tight at the back and hope to nick a goal on the break or from a set-piece. Either way it will be difficult but there isn’t really any pressure on them here. They have already chalked up an impressive 4-1 win over Motherwell in a pre-season friendly so there are goals in this Hibs team but they aren’t likely to get much of the ball here. Brondby were ahead after just 1 minute last week thanks to Kamil Wilczek’s goal but failed to add to that. Back on their own ground though, they should enjoy life considerably more and they warmed up for the game with a convincing 4-0 league win against Esbjerg at the weekend. They have the feel of a side on the up after a difficult few years and they should have too much quality for Hibs on the night. The Danes were 6-0 winners at home against Valur of Iceland earlier in the month in the 1st Qualifying Round and are clearly in the habit of scoring lots of goals. Neil Lennon’s side should provide sterner resistance but at some point in the game, they are likely to be badly exposed at the back particularly given their need to get forward and try and score a goal to get back into the tie. Therefore backing Brondby to win 3-0 at 8/1 looks like a solid punt here. The sides met for the first time last week with Brondby winning 1-0 at Easter Road. Hjulsager and Pukki may keep their places after impressing and scoring in the league at the weekend. Neither started the 1st Leg. 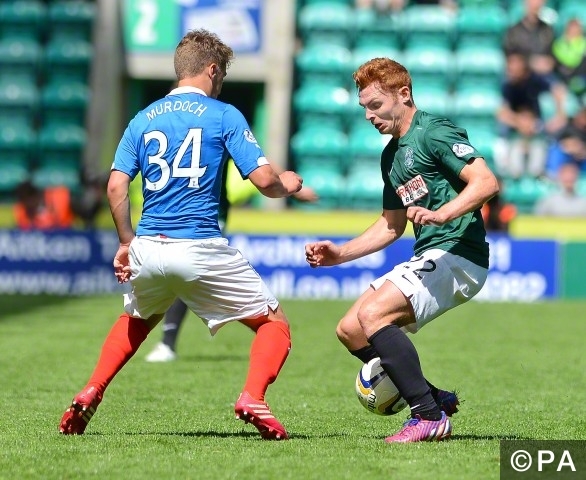 Midfielder Fraser Fyvie is struggling with a knee problem and may miss out. Neil Lennon will have to watch the game from the stands after he was sent off last week. Brondby are unbeaten in 5 home games in this competition and have conceded just once in that period, scoring 16 although most of those goals did come in just 2 games against weak opponents. Hibs have won none of their last 10 away games.